When in motion, due to the weight tyres bear, the sidewalls of tyres bulge and their treads flatten as they roll in contact with the road. This results in a dimensional difference between the tyre's ‘unloaded’ radius, (from the center of the axle to the top of the tyre) and its ‘loaded’ radius (from the center of the axle to the road surface). This difference is called ‘deflection’. 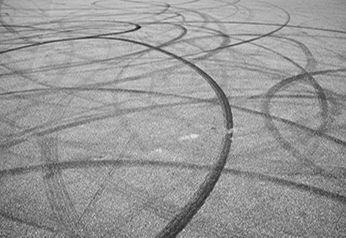 Increasing speed causes the tyres to deflect quicker and increasing your car load causes them to deflect farther. That is, if the tyre pressure isn't increased. There are major benefits to keeping the correct air pressure in your tyres: they last longer, you save on fuel, your car’s handling is enhanced and accidents are prevented. Tyres slowly but surely lose pressure everyday through the process of ‘permeation’. 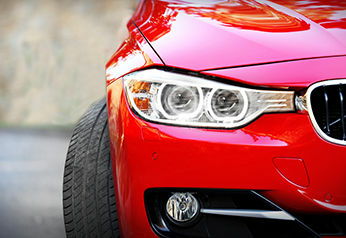 Generally, tyres lose up to one or two kilopascals of air per month in cool weather and even more in warmer weather. Flexing, distortion and impacts can also diminish air pressure. Every second petrol stop: It is probably wise to start thinking in terms of refilling your tyres with air just like you do your petrol tank with fuel. A good reminder and the recommended interval between top ups, is every second time you fill up at the tank. Many vehicles have different tyre pressures on the front and rear axle, so remember to have this adjustment made or maintained. Also, remember to have the pressure in your spare checked. The space-saver type spare requires a higher air pressure level and is useless at lower pressure levels so won’t be any help if it isn’t at optimum pressure on the day you need it. The correct air pressure may be found in the vehicle owner's manual, on the jamb of the driver’s door, (tyre placard), the doorpost, glove box door or fuel flap. The placard tells you the maximum vehicle load, the cold tyre pressures and the tyre size recommended by the vehicle manufacturer. 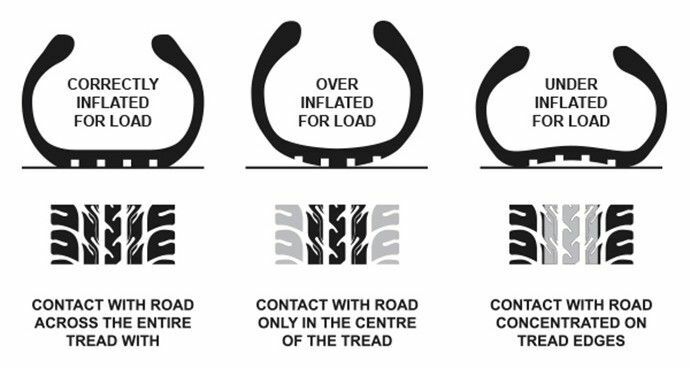 Another valuable resource is the Tyre load rating guide. How other factors change air pressure: Seasonal changes or altitude changes create a rise or drop in air pressure. 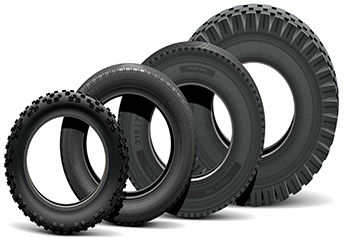 For every 10 degrees of temperature change the tyre air pressure needs to altered by approximately 7 kpa. The loading for trucks and 4WDs is another factor often overlooked. Because they are so often and variably loaded their proper inflation pressure should be determined by actual tyre loads. This requires weighing your vehicle.